The efficiency demands for public services are continuously increasing. Public safety operators and specifically police are heavily impacted with this. One of the most interesting improvements is to move all possible office activities in the vehicles. The benefits of this are clear. Target is to improve the time spent on the field and show more presence to the community. Driving is minimized due to less needed visits to the precincts and savings come through petrol and other vehicle costs, too. The simple solution often thought of is just to have a computer in the vehicle with a broadband connection. The computers can be either fixed in the car, portables or even tablets. The connectivity is mostly a commercial broadband network or in some cases a dedicated public safety broadband network. In most of the implementations the enthusiasm after the pilots has been killed due to problems in used applications and connectivity. The problem lies in the set-up. We need to understand that if we demand office work in the vehicle, the implemented concept has to provide office quality operability. 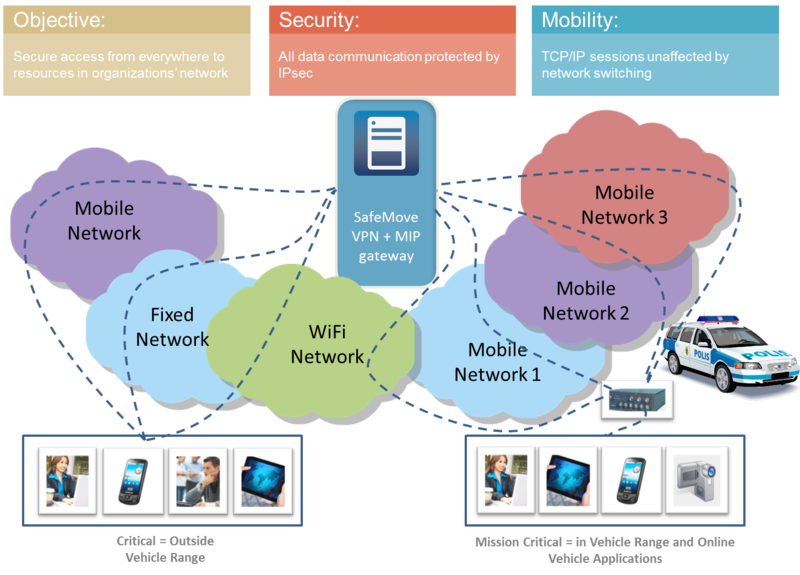 The user satisfaction of mobile connectivity is a combination of many things that are illustrated below. If we take granted that the used police office applications are at the level that gives enough user satisfaction, only what effects are the changes needed for taking the same work in the car. This all culminates to availability, resilience and capacity of the wireless connectivity. 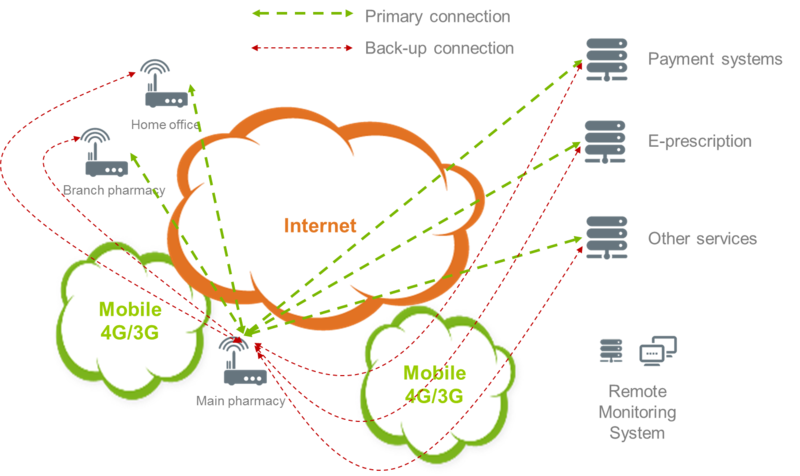 The challenge the mobile networks create for vehicle connectivity is the amount and length of breaks in data streams. This is almost always misunderstood, since the overall network availability is based on customer experience on availability of voice service. However, mobile broadband data access to a moving vehicle is a totally different ball game. Here a well representing summary of more than 400 days of testing in Europe. In this table are included 12 vehicles with multichannel routers. Each router monitors and examines the availability of 3 different commercial broadband network providers availability. Each color corresponds with a different provider. The availability vary a great deal between operators, but most importantly the availability of different operators in different locations varies a great deal. Additionally, the daily changes in operator availability even in the same location vary. After international tests and pilots as well as full scale implementation, it looks like the operators' availability figures are very similar all over the world. One important additional outcome of the tests has been that the connectivity is lost from tens to hundred times over a single 12 hour shift. When the average break length over single network is from about 10 seconds to 10’s of minutes, it is clear that over a single network the required standard of office connectivity is not met. When trying to do the office tasks in the car, the users get frustrated and eventually will abandon the tasks. The inadequate user satisfaction of the system creates frustration and will eventually not be used. There are four solutions considered to overcome the challenge of availability. The first one is to implement application that can tolerate the breaks. The second is to use roaming SIM-cards that switch between networks. The third one is to use dual SIM modems and the fourth is to use multichannel routers with multiple active network connections. The first alternative, using applications that tolerate connectivity breaks, does not solve the problem when in contact with the needed databases. Despite that the sessions are not interrupted; there is no data transfer to enable the needed actions. One roaming SIM-card is also problematic. Roaming between networks needs quite a lot of time, from 15 seconds to even minutes. Two SIMs in the same modem creates similar problems than the roaming SIM. Only after the first network alternative is lost, starts the equipment to search for alternative connections. This takes same amount of time as one SIM roaming and with this the user frustration is guaranteed. The only viable solution is to select two to even four networks for a multichannel routing solution. In this approach all the networks are monitored and their availability and performance is known to the system at all times. 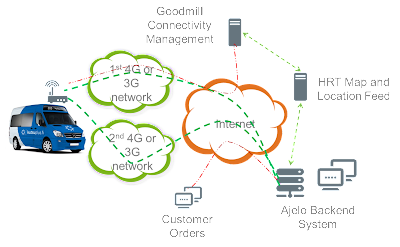 When the connectivity is degraded or lost, the system automatically switches to use the best network available. When network switch over times are just 1-3 seconds and the sessions persist, the outcome is availability comparable to office. The bundled availability over the 12 routers in our case was proven to be excellent. In these tests the result of 99,70% to 99.99% have proven to provide for user friendly availability. 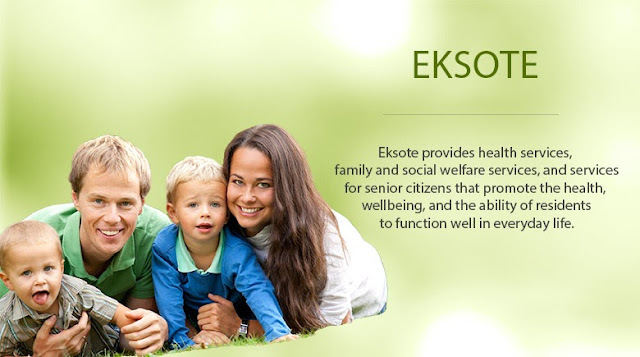 This leads to users recognizing the help of the system for their day to day work. The multiband approach has proven to be useful and effective in moving police work in the cars. The savings through efficiency can be calculated to have payback periods of less than 8 weeks when only working time savings are calculated. This approach also enables all the other needed public safety vehicle functionality including online Automatic Number Plate Recognition (ANPR), online streaming video and advanced operation control applications. We see that the similar approach will also be used in ambulances with less daily office applications, but improved emergency connectivity and support to the vehicles instead. Not far in the future are various utility organizations that will demand more office tasks executed in the vehicles. A common theme is to bring the office on the road. What is very important to remember is that there are now "low end" and "high end" office on the wheels concepts. The office work quality demands determine the standard and it is the high availability that's always needed. Otherwise it will never fly! In the past there have been huge investments into public safety networks in the world. These investments into digital voice solutions with country wide coverage are factually still going on in many countries with Germany being the latest and widest implementation. The big infrastructure providers have been earning good revenues with the national roll-outs and many of the traditional ones are planning on selling the dedicated broadband networks the same way in the future. There is, however, a Blue Ocean concept that might change the whole business model for the public safety broadband. This can be good news for the tax payers, but poses a significant risk for the previous rulers of the market place. Before I’ll get here, let’s summarize what Blue Ocean in this case stands for. How to Create Uncontested Market Space and Make Competition Irrelevant”. The idea is that you don’t only develop and enhance your offering to win markets, but you can redefine it by introducing aspects of elimination and reduction. With this one can create a new value curve that has potential to conquer the market. In this context the current incumbent approach to public safety broadband networks is to raise the capacity and to create new networks and technologies (LTE) for the market. A Blue Ocean can be created by elimination and reduction. This is a valid concept that needs to be considered. Whenever talking about public safety, the argumentation for selling solutions has been around the importance of the service itself. I’ve heard arguments like “TETRA is the only technology you can trust your life on” or “the dedicated and government controlled networks are the only solutions that fulfill the availability and resilience needs of the public safety”. We all know these statements are not true. I have heard about multiple cases when TETRA networks have been down or unusable and the officers have turned to use the commercial networks to communicate. These solutions are also never 100% sure against storms or other natural catastrophes. The dedicated PMR networks get overcrowded when needed. When there’s nothing important going on, the networks are almost empty, using even as low as 2-5% of their capacity normally. This means that we have huge investments standing unused and failing often when mostly needed. Do we really need these dedicated networks also in the future? If not, we could probably save a lot of money for sure. Let’s see what commercial solutions could offer for the sector? The new strategic alternative comes from elimination the need for new networks. We see solutions in the fixed internet where one builds their own dedicated more secure networks inside the commercially available one. 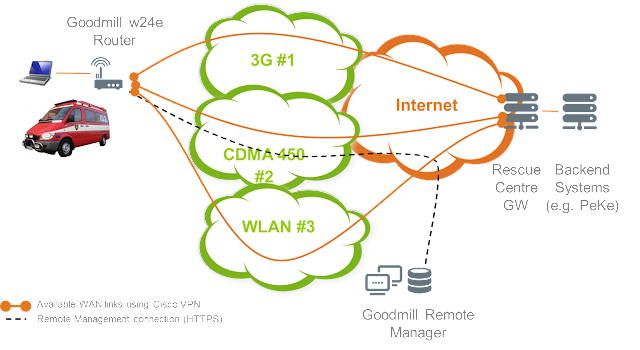 Normal VPN tunneling or MPLS technologies are commonly used in PS sector today. The solution is to combine commercial networks, as many as one wish, and use secure tunnels inside them. One thus actually uses the infrastructure of all needed mobile operators, the resilience, availability and operational security they together can serve. And has simultaneously secure tunneling inside all of them. This means that the costs of the solution are minor compared to building a new network anywhere with any significant coverage. There are two different scenarios how to use the multiple network approach. One has been to acquire agreements with operators to enable roaming between networks with only one SIM-card. This sounds like a viable solution at first, but will not sufficient for Public Safety needs. The problem with roaming SIM is the inability to see the status of any other networks than the one the card uses. When one loses the primary network, one can only then start to even search if the other networks are available. This can take minutes or even tens of minutes. It creates intolerable uncertainty and hampers the user friendliness required for the officers to adopt the applications. Also session persistence can be easily lost. Using routers that monitor all of the used networks all the time and use them either separately or together can give what is required. Currently the switch over times can be reduced to just seconds, enabling advanced online streaming data applications. The networks’ capacities are not a problem in most areas today, and will be even less as LTE is expanding at its current rapid rate. Also the fears of commercial users jamming the networks seem to be overrated. Let’s take FirstNet in the US as an example, since they are the only ones who have openly announced spending something like 7-9 Billion US for a country wide dedicated public safety network. If they used selected existing commercial operators with a router solution, the cost for equipping all the public safety vehicles (450 000) in the country, would be in the range of 1-2 Billion. Simultaneously the operating costs can be kept much lower due to operators’ efficient commercial organizations. With this investment every single public safety vehicle would have safe, resilient and highly available broadband in their use. The routers using multiple networks create the Blue Ocean. The incumbents that have so far sold the digital PMR networks are naturally interested in continuing their old business model. With novel alternatives minimizing network investments the business can be switched to other players. This has happened already in Scandinavia and will certainly have its effects in other parts of the world. I hope for us taxpayers’ sake that the modern approaches get the foothold they deserve. Jokilaakso rescue department (Jokilaaksojen Pelastuslaitos) is the unit that provides for all rescue operation and ambulance services in western (northern?) 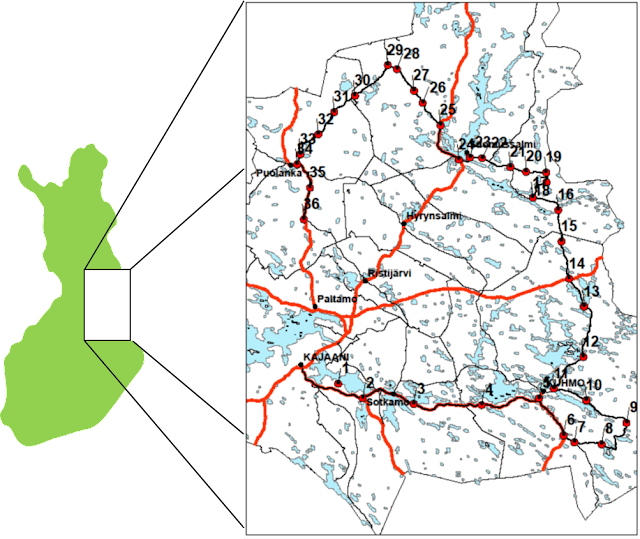 Finnish towns Alavieska, Haapajärvi, Ylivieska, Raahe, Nivala, Pyhäjärvi and Kärsämäki. The target of the operation is to fulfill the demands of local operations as cost efficiently and effectively as possible. 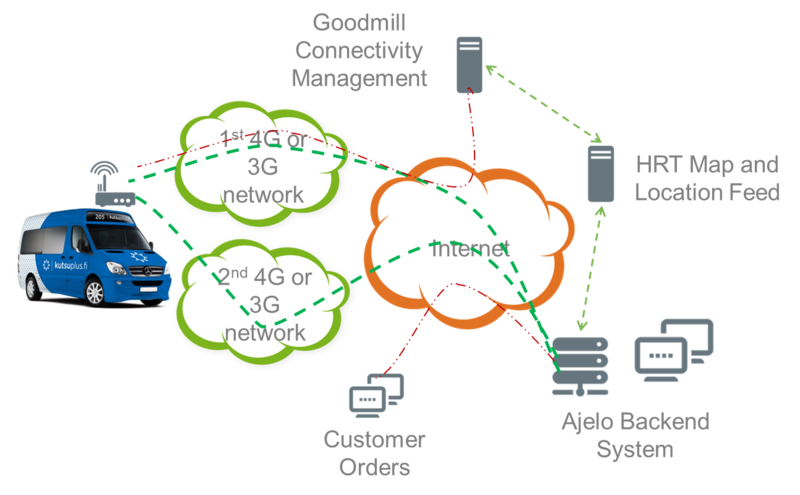 Due to efficiency targets, Jokilaakso has been the forerunner of implementing modern data services that demand high availability. The natural impediment has been to include most advanced and modern data connectivity platform for their vehicles. The main use today is in the lead vehicle. 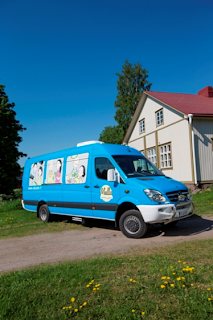 The vehicle uses Tetra network in Finland for voice communication and commercial networks via multichannel routing for data. The current services in the rescue lead vehicles use Cisco VPN encryption and are the connection to command center programs (PEKE) and normal office programs like e-mail. 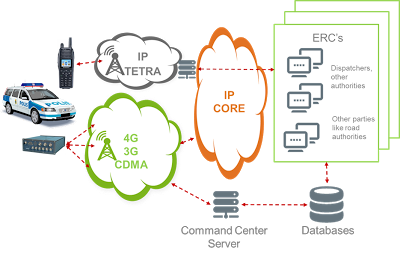 The command center functionality is the main demander for uninterrupted broadband data since all operational information is transmitted with it. The system provides electronic two-way communication between dispatch and crews to ensure that critical information is communicated accurately and in real-time. Navigator tracks crew status by activity time and location while providing routing guidance. Time stamps are automatically logged and sent so there is an accurate recording of events as they happen. Instant visual notifications alert the crew when new information is sent, keeping them constantly informed and eliminating the possibility of vital information being missed on a phone call. 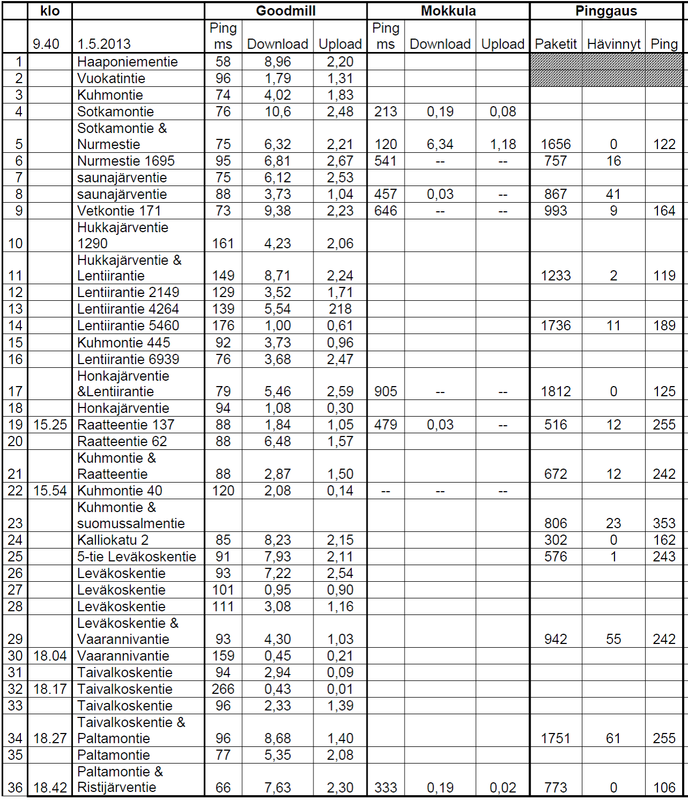 Due to always online connectivity the data is always accurate and actual. This functionality is currently using the Tetra network with SDS-messaging. As the new PeKe services expand to demands of broadband, the system can take core of it automatically. The most data capacity demanding application used today is the sharing of WiFi access point to other units. The other units that don’t have the routers can use the network provided by the lead vehicle to connect more securely to services provided. The data demands currently are such that WAN capacity provided by the lead vehicle is enough. It has been tested that the WiFi access point can cover even 300m radius with installed system. The rescue vehicle has a vehicle computer and Tetra phones. The computer is attached to the multichannel router with a LAN cable or via WLAN access point when taken out of the vehicle. The router has thus two FE ports and a WiFi in the LAN side. The WAN side includes three uplinks that are a national 3G operator, a national CDMA 450 operator and there is also a WiFi WAN link that is used when the vehicle is in or close to the fire station. The implemented system improves the functionality of the lead vehicles tremendously. The solution of using only Tetra has the data capacity limitation of about 5 kbit/s and does not provide for sufficient migration to future services. Also the alternative of using only one 3G modem for the data was not adequate for the resilience and availability needed. Now the future investments of various enhanced services are not limited by the data access. The lead vehicle is also an office on the wheels. With older systems very basic tasks like just sending e-mails with larger attachments was too slow. Now even citrix based systems that require very high availability data can be used. The system is easy to operate. 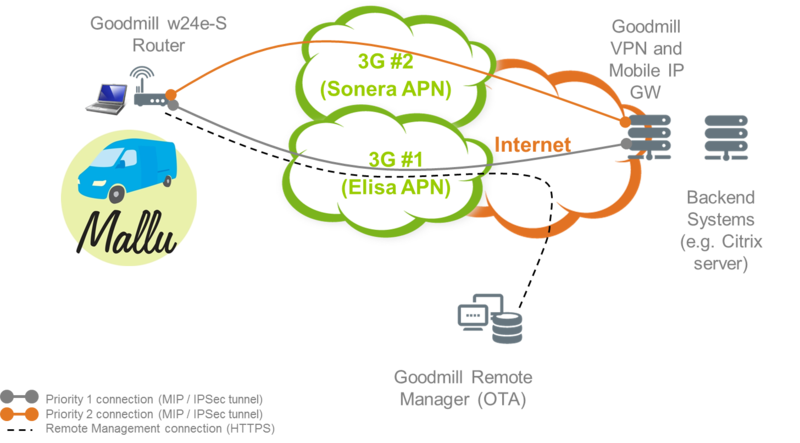 The remote management functionality provides for an overview of the connectivity at all times. It is also easier for the operation that the internet connectivity is practically handled by a single unit. The user just connects to the router and then one can operate like in the station. It is truly an “office on the wheels” –approach. The current solution is just the starting point of the use that reliable broadband enables. The future possibilities of the used system are numerous and recent discussions have been to include streaming online video from the rescue sight and including also ambulances with connectivity with various health specific systems like Merlot Medi or similar. The devices that can be connected to the system are limitless. The connection inside the vehicle can then use the Ethernet or wireless access possibilities. However, the services, software used will remain to be the key driver. It is not the equipment, but what it is used for that saves lives out in the field. The development of the services used is fast. The integration of various systems in Rescue and in Emergency services can be handled with the same or similar platforms. From pre-planning to dispatch to real-time communication to incident command to patient care to after incident reporting and billing, the integrated router solution maximize operational efficiency and enhance firefighter safety. Jokilaakso rescue department has had a successful implementation of broadband access to lead vehicles. This has enabled them to use the current applications more efficiently and reliably. 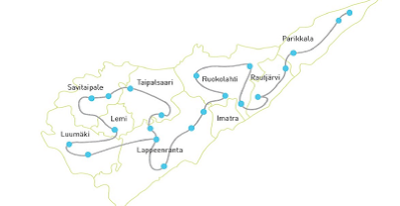 The implementation of the end to end managed data connectivity enables Jokilaakso to stay at the peak of public safety data usage for years to come. Jokilaakso is in the process of expanding the system to more units. Jokilaakso rescue department (Jokilaaksojen Pelastuslaitos) is the unit that provides for all rescue operation and ambulance services in western Finnish towns Alavieska, Haapajärvi, Ylivieska, Raahe, Nivala, Pyhäjärvi and Kärsämäki. The rescue responsibility only covers 17 communes. The target of the operation is to fulfill the demands of local operations as cost efficiently and effectively as possible. The tremendous growth in the popularity and affordability of today`s light weight, compact and easy to use smart devices like phones, tablets, ultra note books has created an enormous demand for instant and easy connectivity. The accelerated growth of free WIFI in public places, restaurants, department stores and others drive the expectation for “connectivity everywhere” even in today’s and future public transportation. The habit of just “pull out” the smart device (even though most of the people carry it in their hand permanently anyway! ), switch it on, touch the Icon and you are connected almost immediately” is the way today’s passenger expect a transportation enterprise to support their lifestyle. The consequence is that this feature is expected not only on public places and buildings or shopping centers, but also on long distance and urban trains, as well as in city range metro`s , buses and trams. 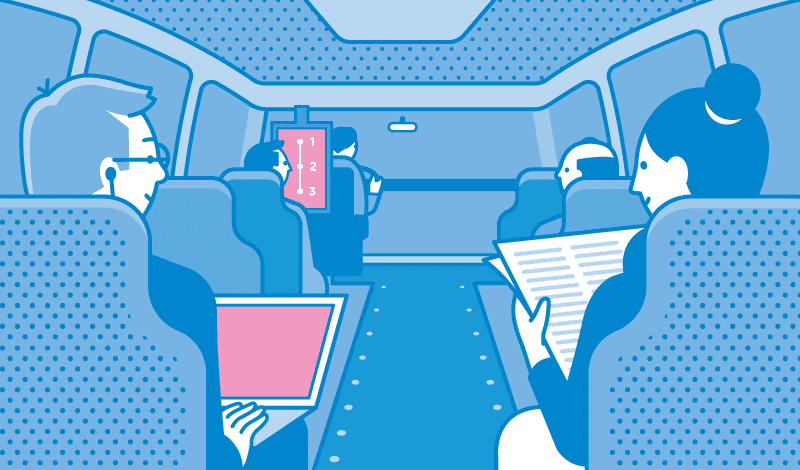 Mobile Internet in public transportation therefore has become an important point to consider, beyond the traditional train- and connection information on fixed overhead screens. Even the long hesitating airline industry is moving in that direction with their ”In flight communication” offering. Competition is increasingly driving the uptake of new broadband wireless services in trains. In almost every European country where rival operators are battling it out for customers on the same or similar routes, we have seen the launch of on-board Wi-Fi. First, on the carriages operated by the newcomer as it tries to differentiate its service, then, very quickly after, on the incumbent’s trains – as it feels stung into action. Various public train operators have already made that move and are highly impressed by the success and the advantages given plus the extra income to prime up their revenues. In today’s times any extra income is highly welcome to contribute to the revenues. So, what are the potential benefits for an operator to justify such an investment? 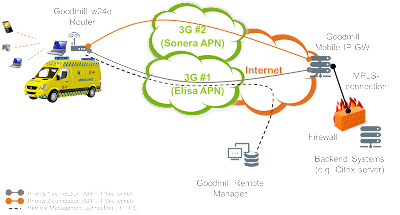 This IP connectivity for internet access offers the unique possibility for the operators to be in real time contact with their passengers not only via the fixed overhead video screens, but more important and efficient directly interactive on the customer personal devices. The sale of advertisement space and entertainment features is a perfect platform for additional considerable revenues by these unsurpassed “location, real time and focus” features. That is THE advantage of the “mobile case”. Through the train log-in process a direct startup “operator” screen can be presented for important information related to the travel and the availability of specific services. P.I.M. : Passenger Information Management and P.E.M. : Passenger Experience Management therefore become the buzz words in successful mastering the efficiency and success of on board WiFi in modern public transportation systems. The basic and most important requirement for this is an absolute reliable and stable communication from train to ground during the whole travel. Even when changing trains of the same operator an automatic handover without a new log in should be made possible. To achieve both goals, comfortable and rich internet environment and reliable connections on the train are the mandatory prerequisites. Nothing is more image harming then offering something to a large audience that does not work properly. One solution to fullfil these requirements is created by Goodmill and Limitis. The companies have joined forces on a project basis to combine best practice from both, communication and IT/Internet guarantee a seamless implementation. Goodmill systems limited is a trail blazer in mobile broadband connectivity that insures constant data flow in demanding conditions where 24/7 connectivity is critical. Limitis broadband has broad experience as an independent internet service provider. Web hosting, co-location, maintenance services for domains as well as mail and mail security is their offering for customers. Information management guarantees an optimal mix and match of competences for bringing customer needs and operator requirements together. information regarding the following applications may or may not be used by these authorities. For many years, Police organisations around the world have been implementing land mobile radio systems (LMR) to improve the communication capabilities of their field operations. Some countries have been the forerunners and today boast digital networks with excellent coverage throughout the country. Some are adapting to this later, with roll-outs still ongoing in many territories.These systems, whether TETRA, TETRAPOL or P25 technologies, were designed for specific public safety voice applications and often use technology similar to the first digital mobile networks. Although these systems provided a great improvement over voice-only services, their networks now face great limitations due to very low data capacities. Data traffic carried over digital LMR networks may even jeopardise primary voice services. Information sharing between jurisdictions is a valuable tool for increasing the efficiency and effectiveness of Police operations. This means collecting and forwarding data between various jurisdiction databases. These important applications are impossible to realise within the technological limitations of current voice and SMS-type data services. It is obvious that broadband capabilities which fit public safety requirements are essential in order to improve efficiency. This creates the next dilemma: What is required from a Police broadband solution technically and how can we afford it? Multiple network usage is the key to efficiently use new data applications designed for Police forces. The basic idea is simply to combine two or more relatively well functioning networks into one connection that meets the requirements of field operations. 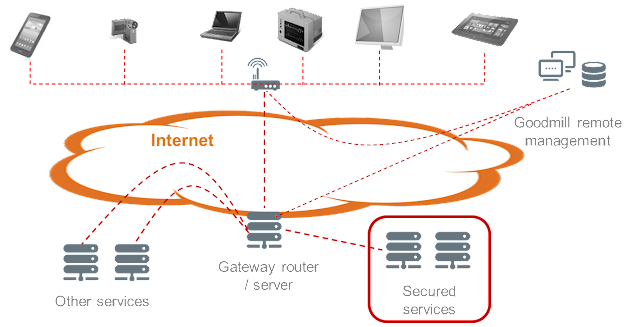 Multi-channel router technology offers the means to utilise existing parallel commercial and/or private networks. Multi-channel routers need to be populated with several wireless terminals supporting a wide variety of different radio technologies or operators’ networks. Routing of mission critical traffic should always be performed using the best connection available. 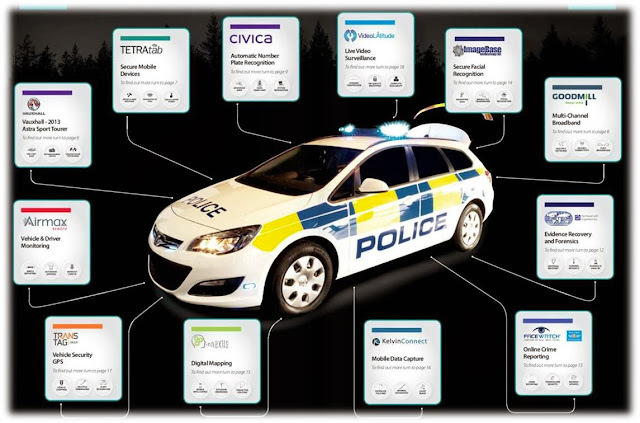 The actual services Police authorities use with the data connection are many and varied. The future seems to offer limitless capabilities. The first step is to enable a very basic functionality, e.g. enabling e-mails with larger data files to be sent without interruption. The increased data capacity also significantly improves situational awareness; e.g. seeing in real time where all other units are and what their status is. With broadband capabilities, it is possible to drastically expand the area within which units can be surveyed. The infrastructure can utilise both dedicated voice traffic applications as well as commercial broadband networks. Dedicated broadband networks may be also used in the future, while multi-channel data connectivity serves as a simple migration path towards that scenario. The router creates connections to the command centre and also connections to other authorities that are needed. Through the command centre gateway, the encrypted connection can fetch all required information the specific officers are entitled to. Police officers have been extremely satisfied with multiband access systems. Multiband Routers have changed and continue to change field operations and management. This technology has been proven to save time, resources, money and lives. Thanks to this solution, Officers are able to spend longer ‘in the field’ and operate with greater efficiency. They can access the same databases as in Police stations and create reports without returning to the station. Because everyone has the same picture of the situation, users claim that co-operation has been elevated to an entirely new level. Information is more transparent thanks to task handling, shared blogs and the collection of statistics. Co-operation between different authorities has also been improved. The reliability of data transmission and sharing of critical information has and continues to improve significantly. Misunderstandings are reduced because different patrols can now locate each other from a shared map resource. This has lead to gains in the command and control chain, with field management proving more efficient thanks to better allocation of resources. Further to this, everyone who is part of the process benefits from improved legal protection, as information is now automatically updated to databases. Preplanning and crime prevention has become more efficient. Even informing the public, press and other media has improved. New operative models are developed as experience with the systems grows, while users further recognise the capabilities of the system to handle more critical data traffic than previously assumed. Police organisations have stated that enthusiasm for changing traditional working methods enables them to utilise the TETRA and other IT investments more effectively. However, it is important to note that the multichannel data access approach is merely an enabler. Multichannel routing or other technology cannot replace Police officers in the field. In the best case, easy to use radio and IT tools may become the backbone of field operations and management!